Prayer is the heartbeat of Chronic Joy Ministry. The words of Romans 12:12 guide our daily steps: Be joyful in hope, patient in affliction, faithful in prayer. Our joy is in Jesus, our hope is for Jesus, our patience is from Jesus, He is with us in all affliction, and it is through Him that we pray to our Heavenly Father. Join us in the ministry of prayer. 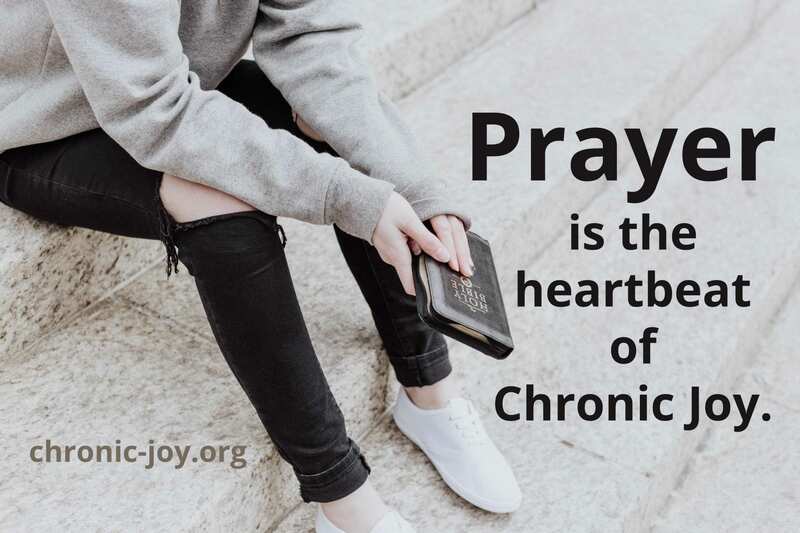 Privately and securely share your prayer requests, pray with us for the ministry and community of Chronic Joy, and/or become a Chronic Joy prayer partner. 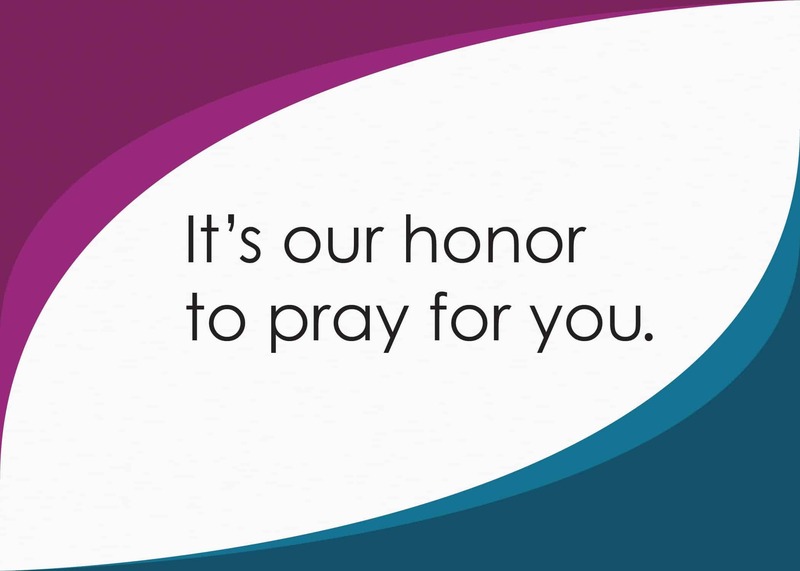 It’s Our Honor to Pray for You! You are a precious, vital member of the Kingdom of God and of this community. We’re glad you’re here. Grateful for your presence. Blessed to lift you in prayer. May God bless you and keep you today and always. How can you pray for me this week? Where have you experienced hope this week? Any additional prayer requests (please include date when appropriate, i.e. surgery)? Your prayer requests and contact information are confidential. We never share it! 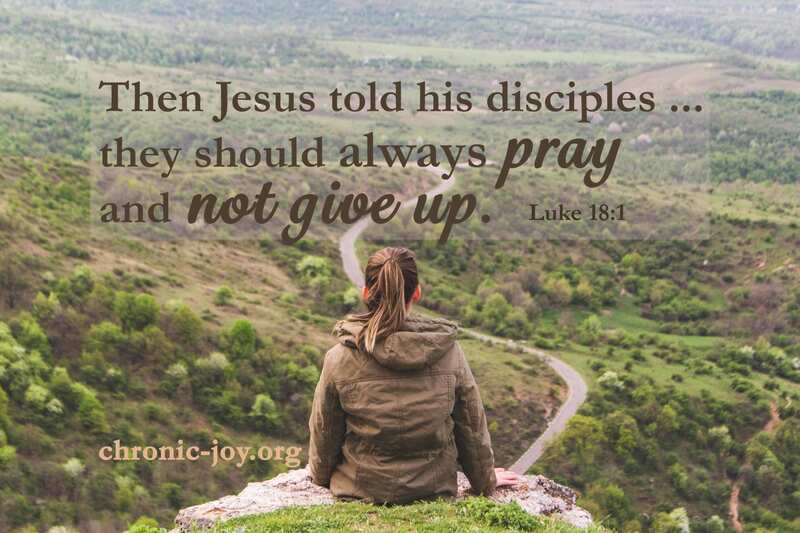 At Chronic Joy, we are passionate about prayer. That’s why every Monday is #PrayerMonday, when we invite all those affected by chronic physical or mental illness to share their prayer requests with our prayer team. 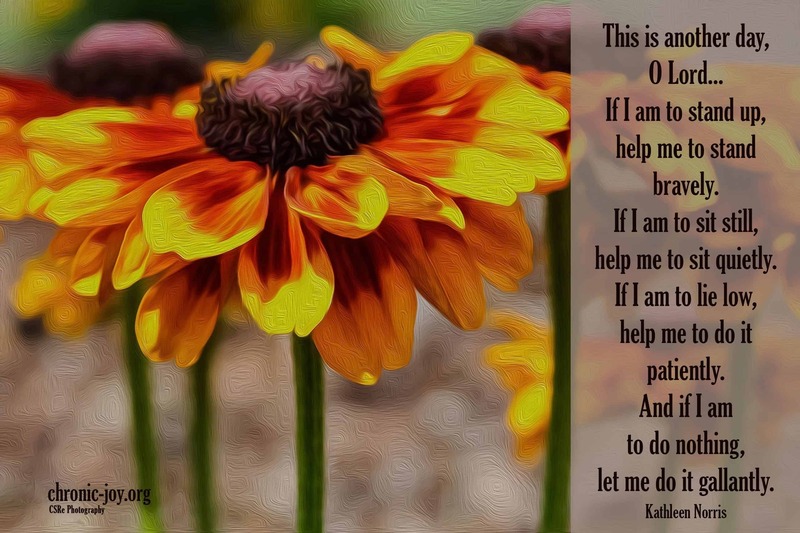 It one of our greatest privileges to pray for each person who reaches out and for every request. Daily, we thank God for the gift of our growing community, the mission and ministry of Chronic Joy, and for His faithful leadership. Have you been looking for a way to serve, to love on and encourage others from the comfort your own home or even from your hospital room? Has God been tugging on your heart, inviting you to lift your fellow chronic illness warriors before Him in prayer? We’d love to link arms with you! Contact us at: care@chronic-joy.org. All we need is a brief (2 or 3 sentence introduction) telling us a little bit about yourself, and your heartfelt commitment to join us in praying for the requests of our community. 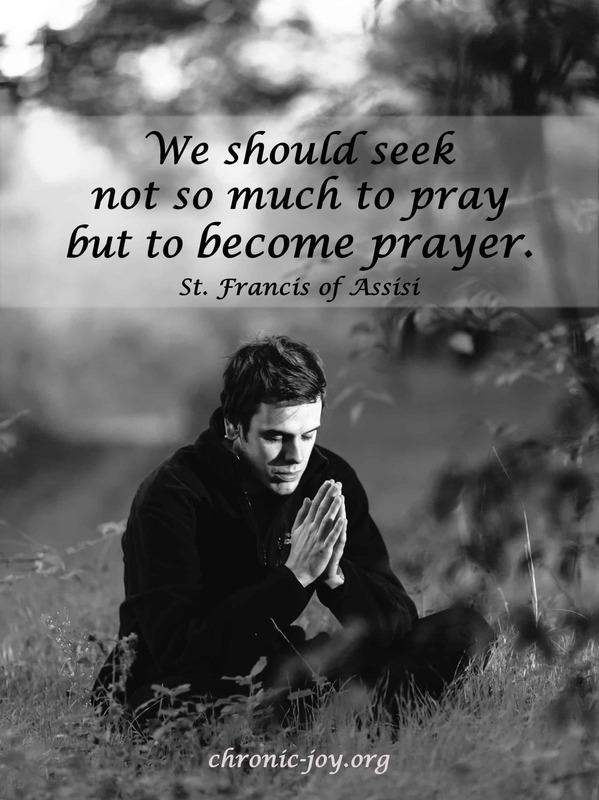 Where prayer is the heartbeat of our ministry. Sign-up to receive Invitation to Prayer delivered right to your inbox each month. Thank you for linking arms with us!